Giant Sparrow’s What Remains of Edith Finch had received near universal acclaim from reviewers for its indelible narrative, which was compared to story-driven classics such as Gone Home and Dear Esther. However, in the words of the game director Ian Dallas, the creative team is more interested in “exploring a moment, like finding something that… has this simultaneous feeling of something very beautiful but also a little unsettling”. The end product presents the players with a series of provocative and haunting vignettes about one of the most profound topics we face in life –death–. The music of the game was composed by Jeff Russo, a member of the rock band Tonic and a composer who is known for his contributions to American television drama series, most notably the massively popular FX’s Fargo and critically acclaimed HBO miniseries The Night Of. Curiously, What Remains of Edith Finch was the first video game project that Russo had composed for. Could Russo’s music match up to the much extolled adventure game? To define the thematic tone of the score and introduce the listeners to the ephemeral soundscape of the game, the album opens with the gentle melody of “Edith’s Theme”, the theme of the titular protagonist. An unobtrusive hum inconspicuously begins the track shortly before soft piano chords in major intervals seep in, giving more sonic texture to the composition. The major chords is then modified into minor and augmented intervals to create some ripples of suspense on the calm surface of the track, right before the seven-note leitmotif is introduced on a higher register of the piano accompanied by the relatively static flute. Eventually the strings would join in, take over and further expands the melody before the track reprises and ends with the leitmotif. This simple yet elegantly executed track captured the tender and wistful nature of Edith. The next track, “The House”, sounds like a continuation of “Edith’s Theme”, being structurally and instrumentally analogous to the first track. The track similarly starts with a quiet hum and piano before bringing in the flute and strings to expand the melody. While “The House” is competent on its own, juxtaposing it with “Edith’s Theme” regrettably made it predictable and thus slightly diminishes its appeal. The next set of four tracks revolves around a specific character in the Finch family: Molly. Without giving away spoilers but still put these tracks into context, I’ll provide you with the information that Molly was a child who can transform into various creatures in-game. What stands out immediately as “Molly’s Room”, the first of the set, starts playing is its ingenious selection of instrumentation: specifically, a recurrent percussive clip that fades in and fades out throughout the track and a piano with a fragile timbre and mildly wavering pitches, as if stemming from brittle strings that would belong to an old toy piano. The percussive clip conjures the sonic image of a small object bouncing nimbly on a wooden floor while the piano plays a charmingly innocent leitmotif; both of which work together to induce in the listeners a sense of childhood nostalgia. Seemingly to extend the oscillating motion evoked by the ubiquitous percussive clip, the composition also modulates between major and minor tones multiple times. The remaining tracks portray Molly’s transmutation into three distinct creatures. In “Molly’s Hunger – Owl”, arpeggiac patterns performed by the harp laid the foundation upon which the strings would carry a melody accompanied by the flute. The composition is relatively scalar (in a stepwise manner); the resulting ascending and descending motion gives the track a sense of fluidity present in the motion of a flying bird. “Molly’s Hunger – Shark” retained the same combination of harp and strings, but the harp is used much sparser with long pauses in between while the melody played by the strings in a lower register are more sustained with fewer notes; the track creates an underwater sensation of deep tranquility in the underlying presence of an echoing bass beat that ebbs and flows in volume. Finally, “Molly’s Hunger – Monster” utilizes a different combination: having the flute perform the melody above swirling dissonances stirred up by the clash of unsettlingly booming tones between the strings and the brass. [Tonality of Chords] The tone of the second chord would have a bigger impact in defining the mood because it serves to conclude the sequence. Thus, the mood of the piece can be interpreted as a gradual change from optimism (major) to melancholy (minor). [Types of Cadence] To use only half cadence and deceptive cadence throughout the piece is another fascinating choice as both of these cadences are considered weak cadences that evoke a suspended/inconclusive feeling. The utilization of these cadences could be construed as an effort to imitate the motion of swing and suspension of a swingset. It was not until the very last cadence that an additional minor chord is added to the very last two chords [major-minor-minor/VI – v – i], ending the track on an unusual perfect cadence of v – i (usually the dominant chord would be in major). Moving on, “Walter’s Bunker” begins with a low drone before the flute and strings join in in a distinctly major tone, building up to a sanguine ending. As the longest track in the album, “Gus’ Kite” also boasts the most musical development. The track started rather serenely with the usual flute, harp, and strings until a turning point stationed midway through. The composition then begins to revolve around a continuous minimalistic pattern while gradually layering more instruments atop of each other playing said pattern, seemingly to build up the momentum of an indomitable storm; the gravity of the track becomes especially palpable with the gutsy entrance of the percussion and the brass. “Milton’s Kite”, a piano-centric piece, stands out among other tracks despite its brief runtime of less than one minute due to its memorable melodic line. In fact, “Milton’s Kite” is an arrangement of the wonderful titular theme (composed by Joel Corelitz) from another game developed by Giant Sparrow, The Unfinished Swan, whose universe the character Milton is connected to. The last set of character tracks center around Lewis, the man who suffers from mental illness. We start with “Lewis’ Coronation – Daydream”, an ambient track with sustained lines by the flute and the strings sprinkled sparsely with echoing piano keys. In stark contrast to all prior tracks, especially the meandering “Daydream”, “Lewis’ Coronation – Marching Band” barges in with a determinedly whimsical staccato melody by the flute accompanied by bouncy marching drum beats. On the other hand, “Lewis’ Coronation – Sailing Ship” steer towards a different direction with a flute melodic line floating above two distinct yet neatly dovetailed arpeggiac patterns by the harp and the strings respectively. While the harp continues to play the same pattern throughout, the strings switch to a more abrupt dotted rhythm along with the entrance of the brass, giving rise to some tension in the initially unperturbed track; the violin would in time take over the melody after the fleeting insertion of sitar for an exotic flavor, ending the track with soaring notes. As the title implies, “Lewis’ Coronation – Palace” is a track that attempts to convey a sense of royal grandiosity with brass, but the overall tonal color leans more towards prim solemnity than flashy flamboyance, a clear bifurcation with the final track: “Lewis’ Coronation – Crowning”, an exact continuation of “Marching Band” featuring the same whimsical melody but endowed with richer instrumentation to portray the augmented enthusiasm that would be on display at a crowning ceremony. The collection of tracks that depicts the character arc of Lewis is easily the most colorful bunch in the album. The penultimate track, “The Finale”, features a melancholic melodic line played by the flute encircled by the deliberately reverberant harp among other instruments. And lastly, “The End”, a track made special by the employment of two instruments I have not discerned in other tracks on the album: female vocal and guitar. The track begins with a straightforward ascending chordal arpeggios repeated by the piano before the female vocal joins in, humming a dispersed melody softly in the tessitura of a contralto. The guitar would then take over the accompaniment briefly before the piano returns to play the same arpeggios, as well as a modified version of the leitmotif from the very first track: “Edith’s Theme”, bringing the album full circle. The simplicity of the composition made the minimalist melody sung by a rich female vocal all the more haunting, according the album a befitting elegiac conclusion. Jeff Russo’s first venture into the world of video game scoring turned out to be exceptional; the intensely intimate score of What Remains of Edith Finch managed to exude an ineffable charm effortlessly through a spectrum of nuanced emotional palettes without ever resorting to melodrama. One aspect that I did not touch on much in the review is how well the music complements the visuals of the game. 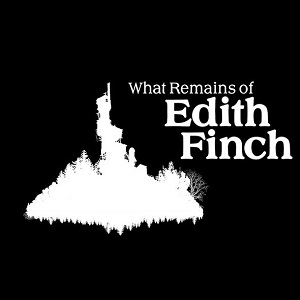 I encountered the album of What Remains of Edith Finch first before I decided to take a dive into the game the music is scored for. The album on its own is already a great assemblage of stirring tracks, but to say these compositions are tailor made for the evocative visuals and stories of the game is an understatement. I was especially struck by the ironic contrast between the relentlessly dismal scene of Lewis’ in-game coronation ceremony and the blithely buoyant melody accompanying the sequence; a counter musical choice made intentionally by Russo to create an even darker impression. By all means, listen to the What Remains of Edith Finch Original Score for its collection of exquisite tracks. But to fully appreciate the subtlety of the music as intended by Russo, play the game and turn up your speaker. Do you agree with the review and score? Let us know in the comments below! Posted on May 16, 2017 by KT Wong. Last modified on May 16, 2017. KT Wong is a musician who likes to analyze video game music. With great passions for gaming and music, he hopes to contribute to the community of video game music through his writing.